Feed the belly, feed the soul! Fr. Jonathan noticed when he first arrived to the parish that there was a great opportunity to evangelize right outside the front doors. The school bus stop for the children. If we give them an experience of Christ through good works, then they will be more inclined to ask more questions on who Christ is. With that Fr. Jonathan simply decided on Friday mornings that he would get the children donuts. So once a week on the last day of the school week Fr. Jonathan goes out and makes sure the bellies of the children are being fed before school. Table Talk pie has donated pies as well to assist. People waiting in the cars at the red light see the good works being done and they respond. 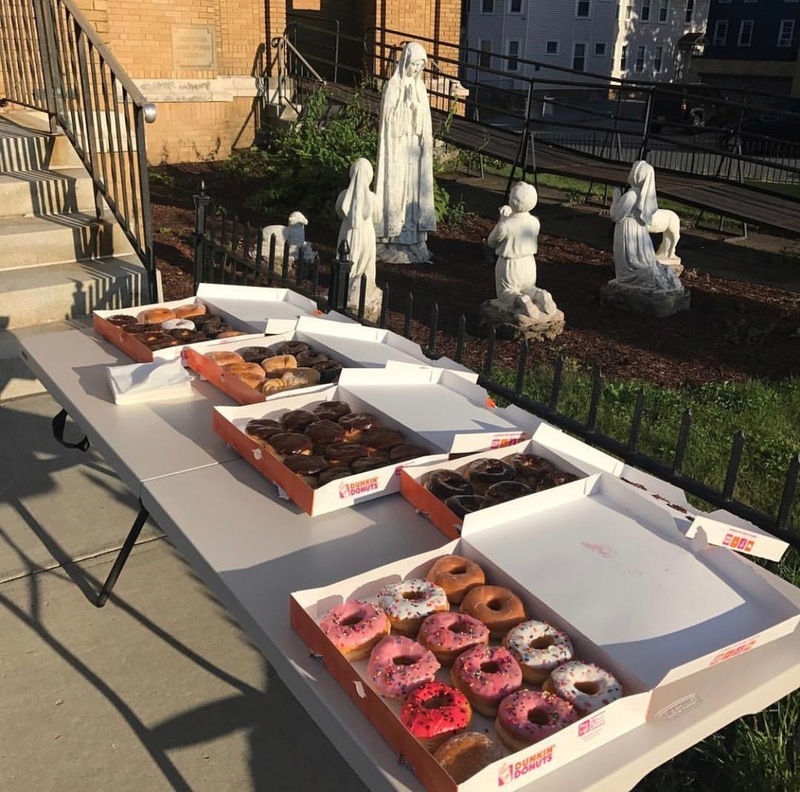 We have received generous gifts of Dunkin Donuts and Gourmet Donuts gift cards from individuals like you to keep this good work going. Gift card donations are always welcome to assist.